Why on earth does anyone still use Internet Explorer (IE)? I have asked myself this question time and time again. Why in the age of Smart Phones, flat screen TV’s, Xbox Kinect, funny cat videos, and Facebook, would someone still be using IE when there are so many other choices? 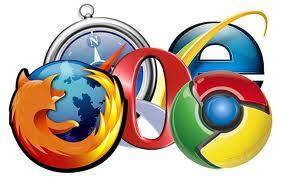 According to this article written by Steven J. Vaughan-Nichols, IE falls short on Web Browser safety. He cites an example of the Koobface (a worm that affects Myspace and Facebook users) attack and states that users of IE were the hardest hit. So why do people still continue to use IE? Some point to a lack of knowledge (I am putting this nicely btw), or lack of being tech savvy. I like this line from Cracked.com, “Internet Explorer is kind of like the Budweiser of the web browsers. It’s the most common and always “selected” out of fear or ignorance.” Personally I agree with Cracked, I think it’s because people just don’t know what else is out there or the ability browsers such as Chrome, Firefox, or others have. If someone has a Windows OS, their default browser is IE. It does take them to the websites they want to go, so what’s the problem right? The problem is IE is slow, uses more memory, and most importantly it makes things so much harder for the developers out there trying to make awesome applications and websites. Some of the tools needed to make sites look pretty and user friendly cannot even be done in IE. I could be wrong but isn’t this usually what the client is worried about? And anyone using IE 6 stop, stop right now – this is not just me asking, but Microsoft.